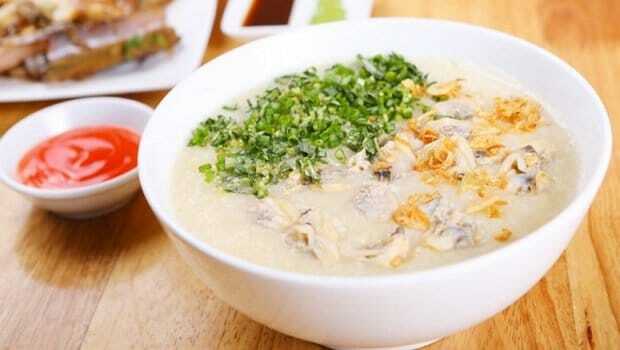 Vietnamese clam porridge is not a very famous dish of this beautiful country to foreigners. However, it often appears in the list of the best street foods in Vietnam that people all over the world must try once coming here. 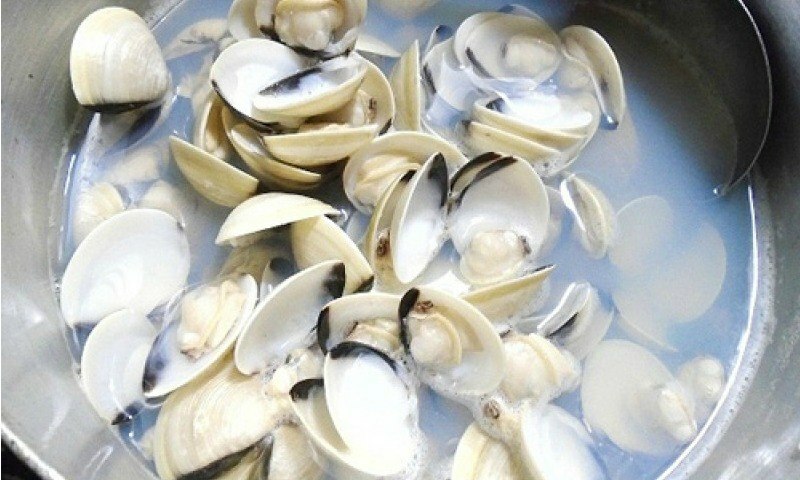 As all of us know, clam is a very commonly used ingredient in cooking, especially home cooking as it is a cheap item everyone can reach. Clam is also available in every corner of the world so in very cold winter days, it would be an interesting experience siting down beneath the window and sip a hot, sweet clam porridge bowl, followed with a cup of ginger tea. Clam provides many essential vitamins and minerals that the body need for everyday activities and functions, especially iron, phosphorus, potassium, zinc, copper, manganese, and selenium. Is this a great reason for you to start adding clam to your daily diet? And if you now already start to care about this, here would be a good suggestion for you to process clam. 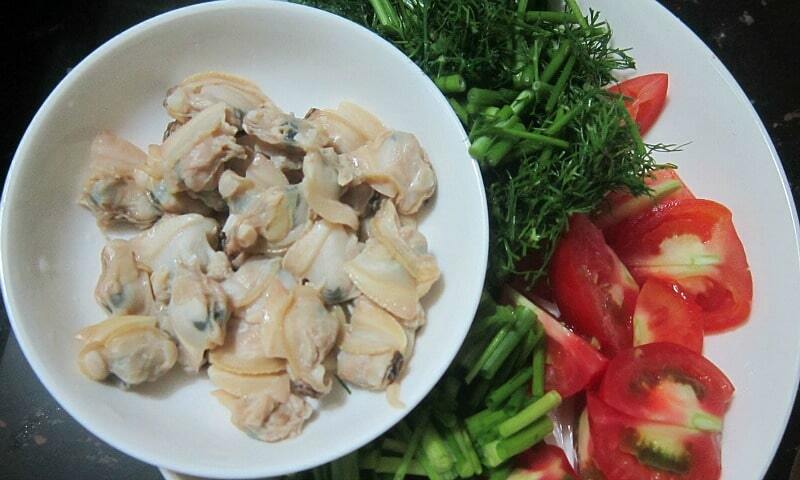 Vietnam is a beautiful country with large areas of sea; thus, clam is a very available for Vietnamese people and they have various ways to process clam and other seafood as well. One of the most common ways to cook seafood that Vietnamese people often use is to add these ingredients to soft and smooth dishes, such as soups and porridge. Vietnamese clam porridge is very good for people at all ages, including small children and sick people. Let’s start with this amazing recipe. The fresh taste and wonderful fragrance of it will never let you down! It is really irresistible and would satisfy even the pickiest eaters. Now, family women or even busy fathers, check out how to make homemade Vietnamese clam porridge right now! You should choose the clams with hard shell, tightly closed. Give it a tap if there is a slight opening: if the shell closes right after that tap, it is still alive; and if not, never choose it. Store live clams in the fridge and cover them with a wet towel. This will help to keep the clams always moist. Allowing the clams to breathe will ensure that they will keep staying alive and fresh until you cook them. Following this tip, you will be able to choose fresh and good quality mussels and oysters as well. Clean the clams and let them soak with 1 – 2 chilies and a knife for 3 – 4 hours. This tip will help you save time a lot as it make the clams open their shells, hence the dirt and sand will be released quicker. If you do not apply this tip, you will need one night to have your clams clean. 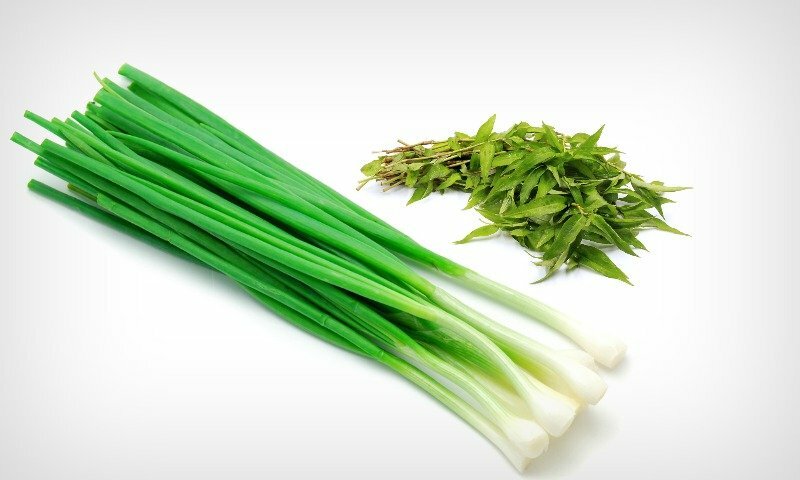 Wash the scallions and the laksa leaves, cut and discard the roots and the old leaves, set aside to let them dry. Chop them finely. Peel off the dried onions and slice. Meanwhile, mix the two flours into a bowl and add some water to dissolve them for about 5 minutes. Stir well to mix. If you do not do this, then your porridge will be clotted when cooking. Put the clams into the pot and cook until the shells open all. Take out the clams, keep the broth. Do not keep all the broth. You should discard the broth in the bottom of the pot as it may still contain some dirt. Discard the shells of the clams, just keep the flesh and dry them out. Pour the broth back into the pot and add the mixture of 2 flours and water you prepared before. 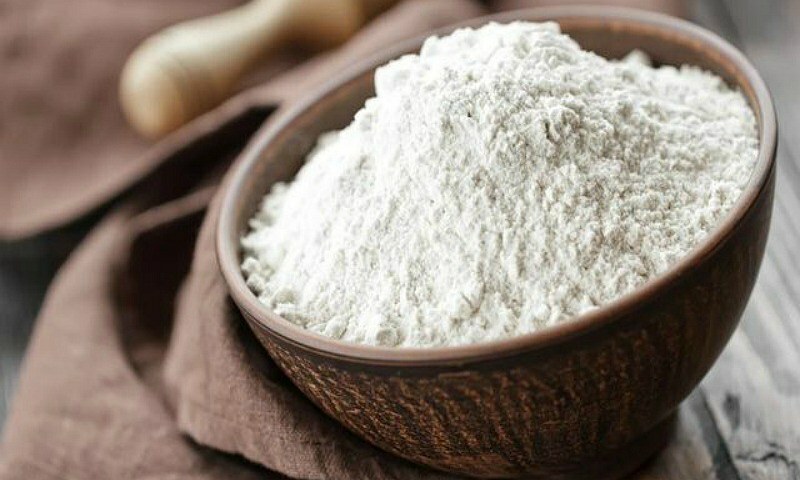 Over medium-low heat, cook the flour – broth mixture until you have smooth porridge. Stir well and continuously to avoid clotting. If the porridge gets too thick, add some water and stir. This process will take you about half an hour to 40 minutes. Heat a saucepan with some cooking oil. 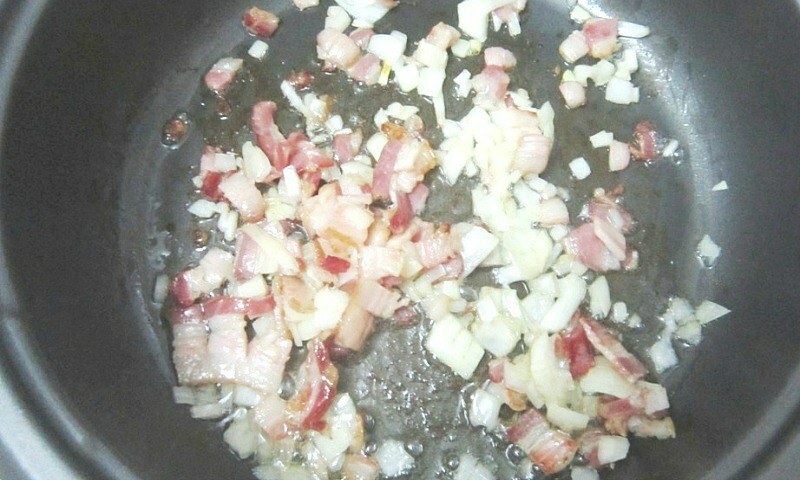 Add dried onion slices and stir well. Pour the clam flesh into the pan and stir well. Add some fish sauce (if you have) or salt and pepper. Stir for 1 minute and take out. When the porridge gets desired thickness, add ginger and some salt to taste. Remember to add just a little salt or even not as the broth of the clam is already salted. Stir more about 2 minutes. Pour the porridge into a serving bowl. 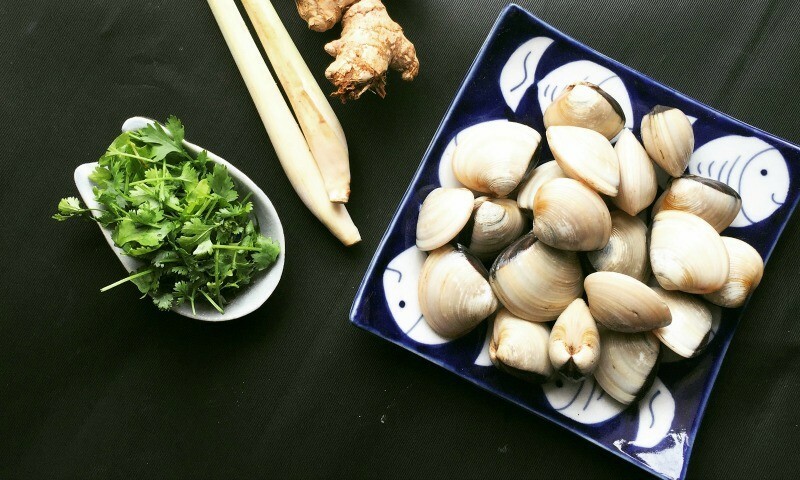 Put the stir-fried clams on top with fresh julienned ginger, finely chopped scallions and laksa leaves. Sprinkle with some ground pepper and enjoy when it is still hot. – The porridge needs to get proper thickness, smell fresh and taste good. 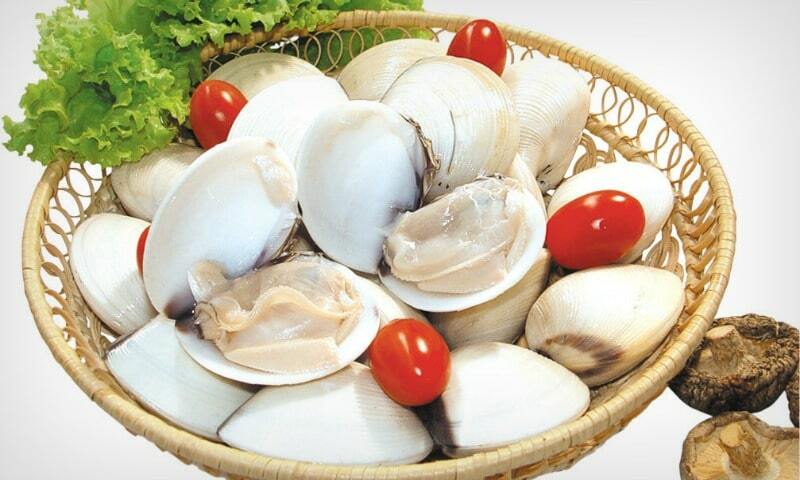 The clam flesh is not too dried (avoid cooking it with oil for too long), taste fresh and smell fragrant. This recipe of Vietnamese clam porridge has been introduced step by step and everyone can make it at home with just some very easy to find and cheap ingredients. 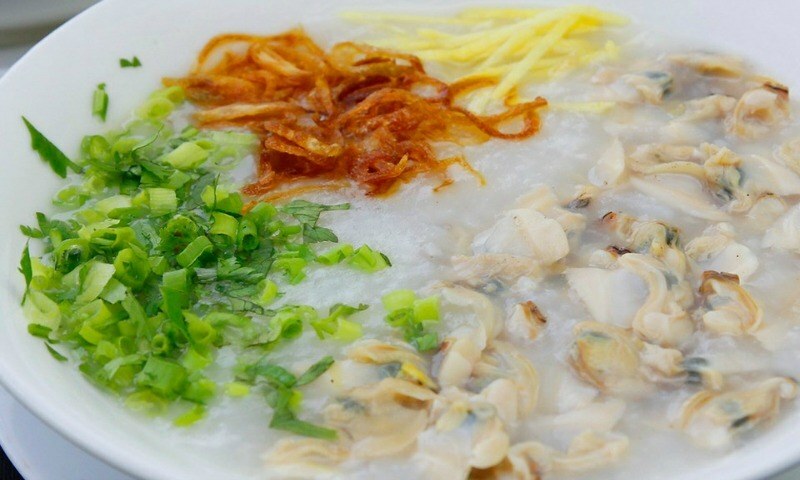 Homemade Vietnamese clam porridge will be sure to bring a brand new interesting experience to eaters all over the world right from the family kitchens. Thus, try making it yourself right from today and you will never regret!